Add any public Twitter timeline to your ad. Just set your username and configure your settings. By default timelines include a follow button in the header, allowing website visitors to follow the account with one-click. 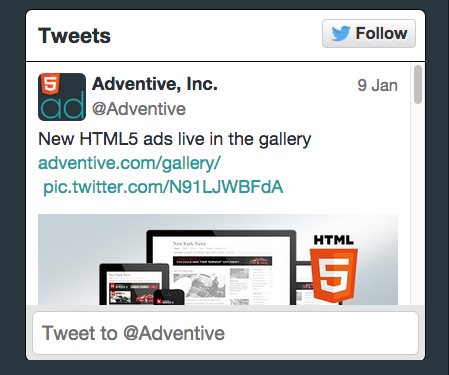 There's a Tweet box in the footer, enabling visitors to Tweet directly to the user. Get in touch to learn more.